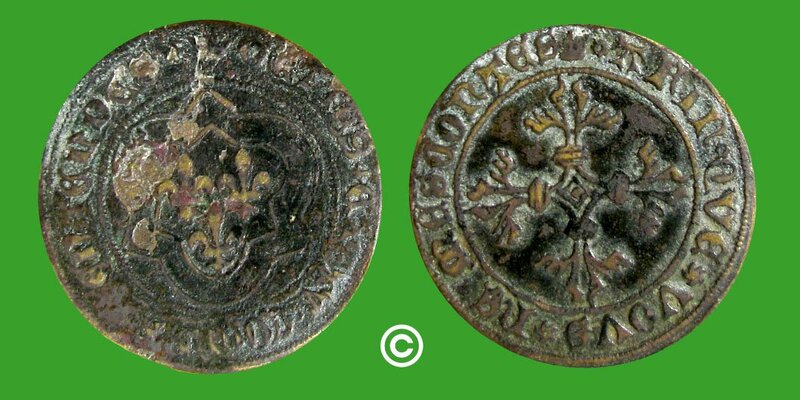 Here is a rare counter / token from the dukes of Anjou at the end of the middle age. On the obverse : GETTES ET AV COMPTES ENTENDES the mordern arms of Anjou. On the reverse : AFIN QVE VOVS NE MESCONTES a cross.